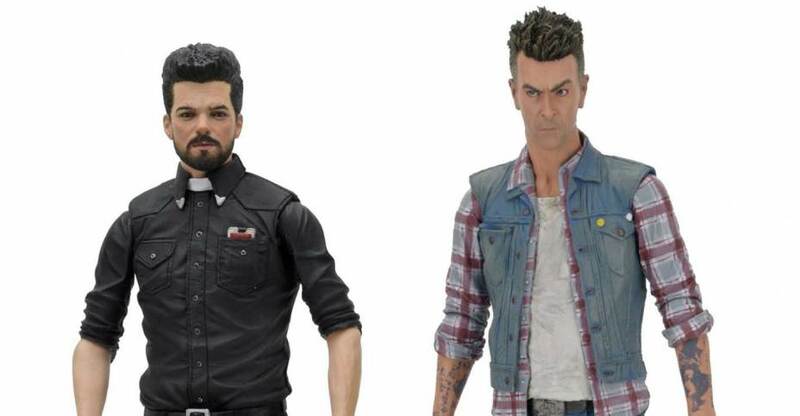 NECA has posted a limited amount of their upcoming Preacher TV Series – 7″ Scale Figures on their Ebay and Amazon stores. 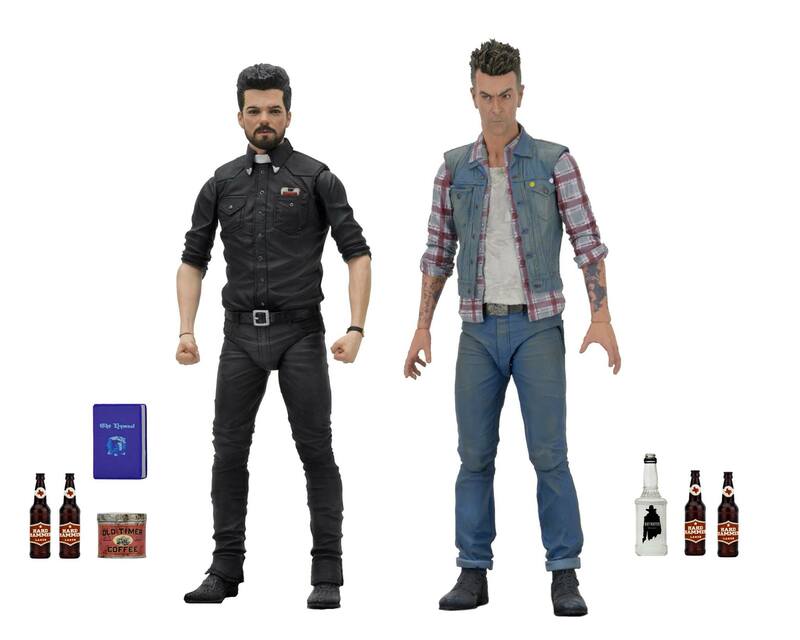 Preacher Series 1 includes both Jesse Custer and Cassidy, with each including TV show themed accessories. They are priced at $21.99 each plus shipping. Click the links below to pick them up. I read Preacher when it first came out, collected all the graphic novels as well! I have the original figures but they're horrible in all honesty. The tv show is so much different than the comics but it's freaking great! Love it! Can't freaking wait for these!! Badass!!!!! This is awesome news! So does are 7" scale preacher figures on the way or just 18"? Awesome thanks for the response. Can't wait for these. I was just wondering last night as I was watching it if it would be McFarlane, Mezco, or NECA that would get these. So glad they are getting made. Should be interesting to see who all they do and how they turn out. Jesse and Cassidy might be worth getting. Well, it's already been renewed for a second season, so it doesn't look like the show will be going anywhere for a while. I haven't even started watching this yet and I would buy a Ruth Negga action figure. Good news, I wasn't aware it was renewed. Always wanted to read the comics. Looking forward to seeing the show. Though it doesn't really excite me enough to want figures, I'll buy pretty much anything Neca puts out. If anything they'll make great background figures like thugs or civilians! 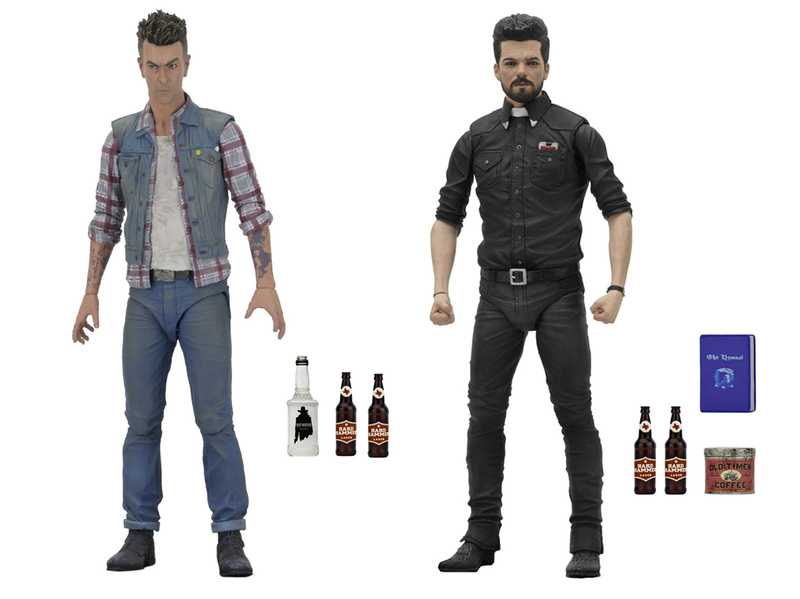 Custom Howard Stark & Raina toys will be much easier to make next year. 2 pack pre-order for this just went live on BBTS. Def grabbing this, didn't even know about it until your post this morning so thanks for the heads up! I love how in the comic Jesse had a mullet, and they reversed it for the TV series by practically giving him a high-top fade instead. lol. Figures look good. Looking forward to them. Well they both better come with alternate hands or it will be completely pointless to have them come with bottles they can't hold. And I will be disappointed if there is no alternate head with Cassidy wearing sunglasses. And that's why we need to keep supporting Seth Rogen's awful movies! Nah man if they were hipsters Jesse would have a man bun and Cass would be wearing just the vest from an old three piece suit. Also they would have like PBR or just coffee instead of lagers, I imagine lagers are too normal for the hipster crowd. They look good, but the face sculpts seem... off to me. I'll wait to see them in-person. 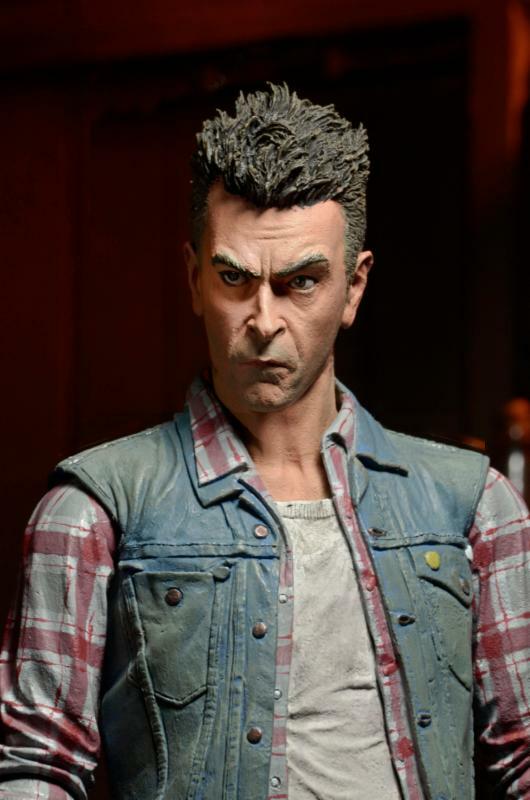 Preacher looks like hes got some eraserhead jr hair goin on.